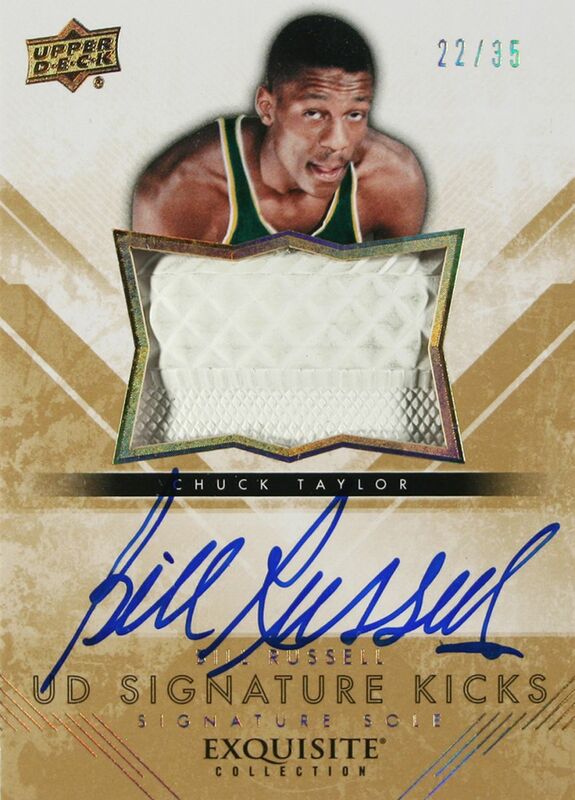 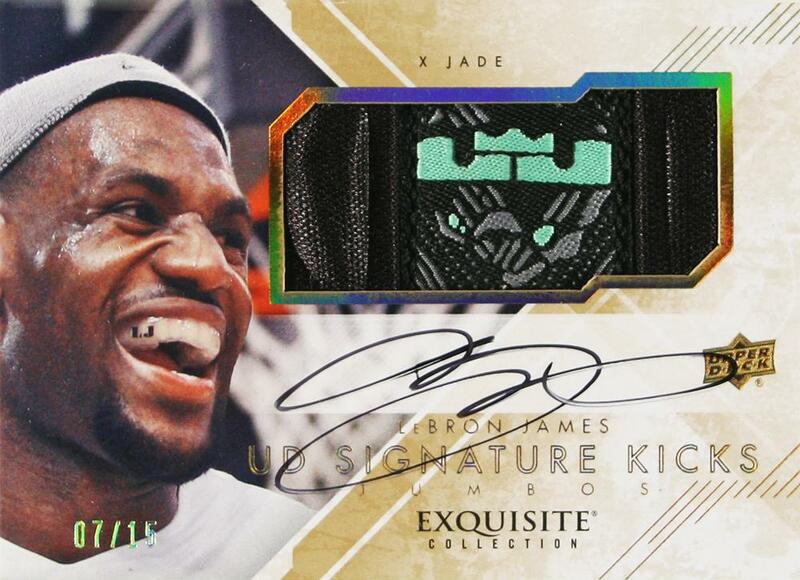 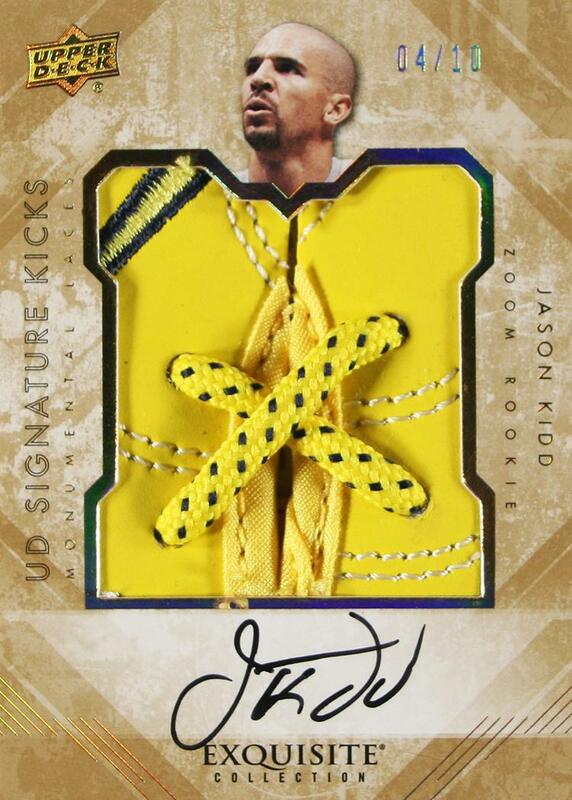 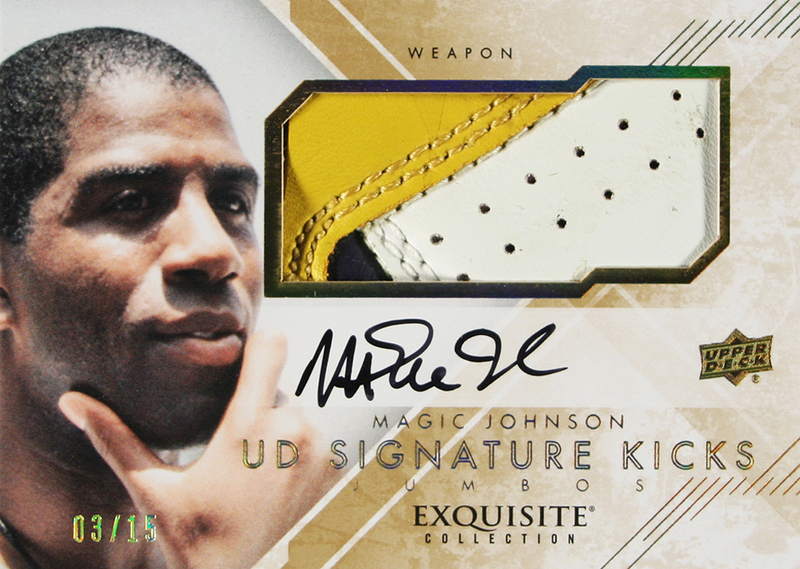 Taking memorabilia inserts to the next level, Upper Deck is including a 'Signature Kicks' series in their upcoming 2013-2014 Exquisite Basketball set. 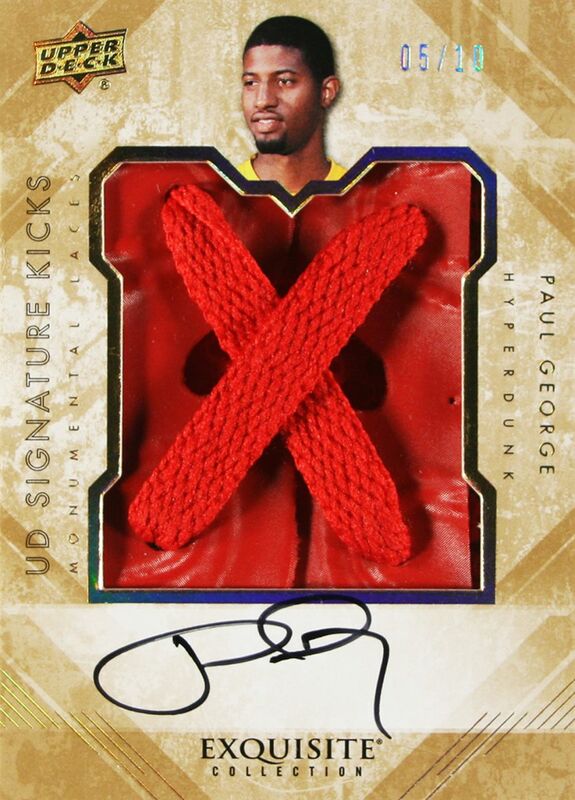 Cards in the series, each numbered to 35 or less, feature shoe patch pieces from soles, heels, logos and laces of classic signature sneakers. 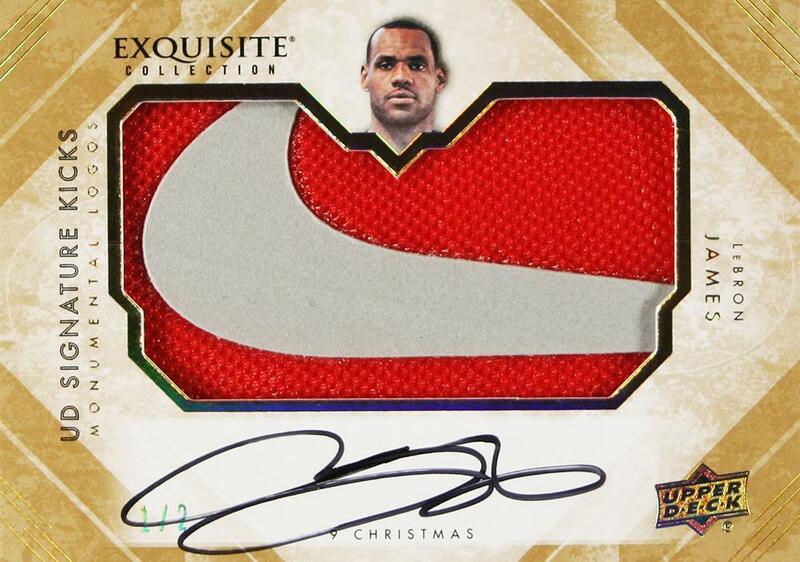 Highlights include Bill Russell’s Chuck Taylors, Magic Johnson’s Weapons, Penny Hardaway’s Foamposites, LeBron James’ ‘Christmas’ 9s and Michael Jordan’s ‘Grape’ 5s. 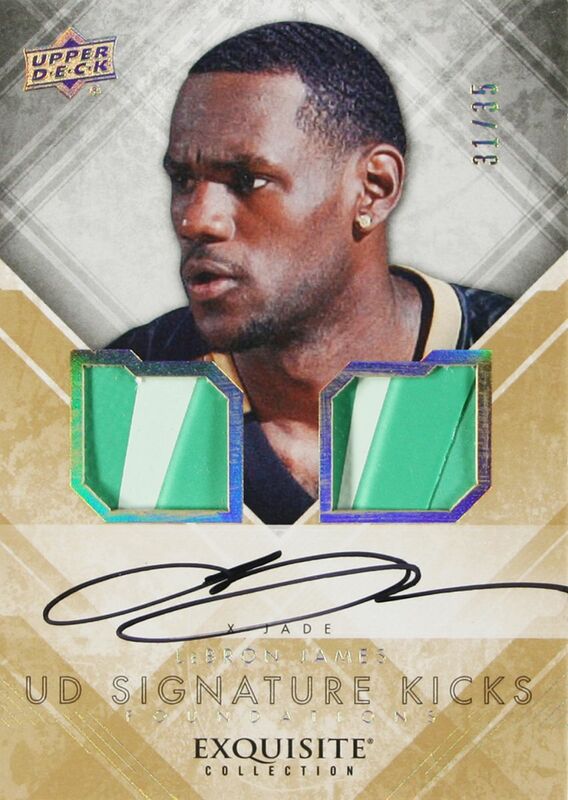 Each card is ½” thick. 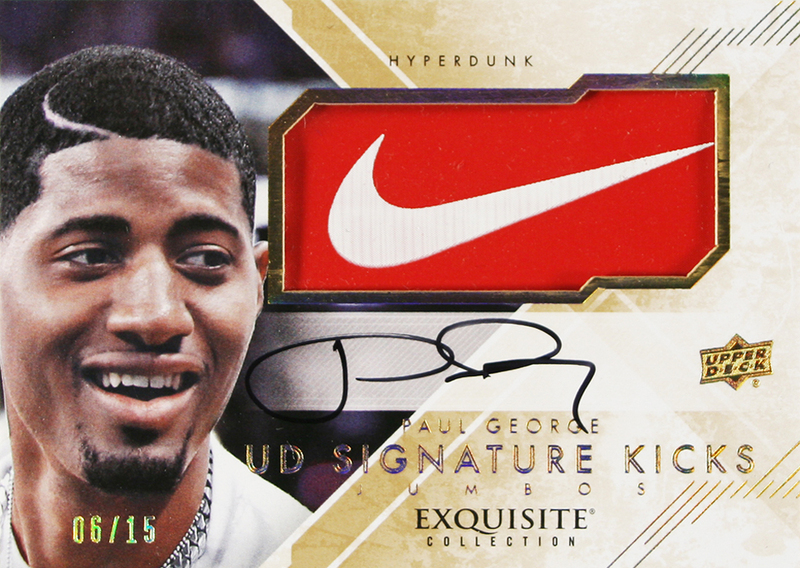 The final release of Upper Deck’s 2013-14 schedule, Exquisite Basketball is described as a “bonafide high-end release that offers up a solid mix of autographs and memorabilia along with plenty of innovation.” There’s aren’t your father’s trading cards, though; single hobby boxes are pre-selling for as much as $550. 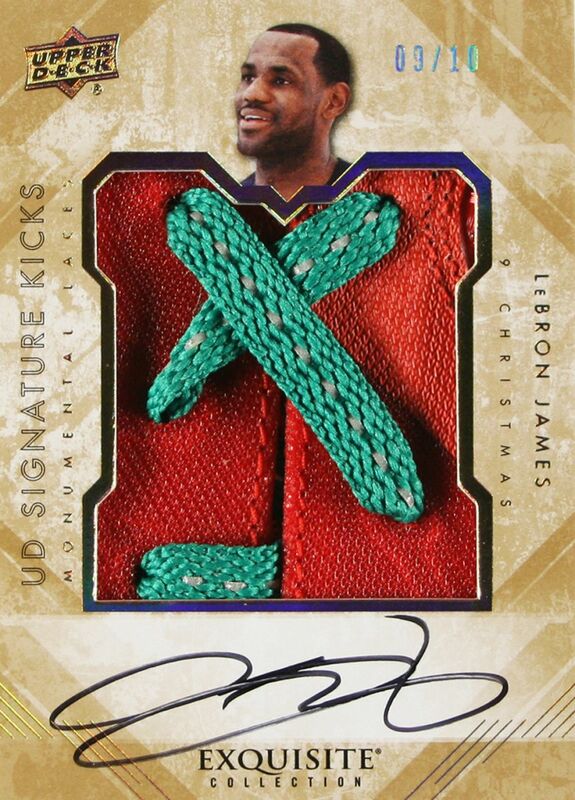 The official release is set for early November. 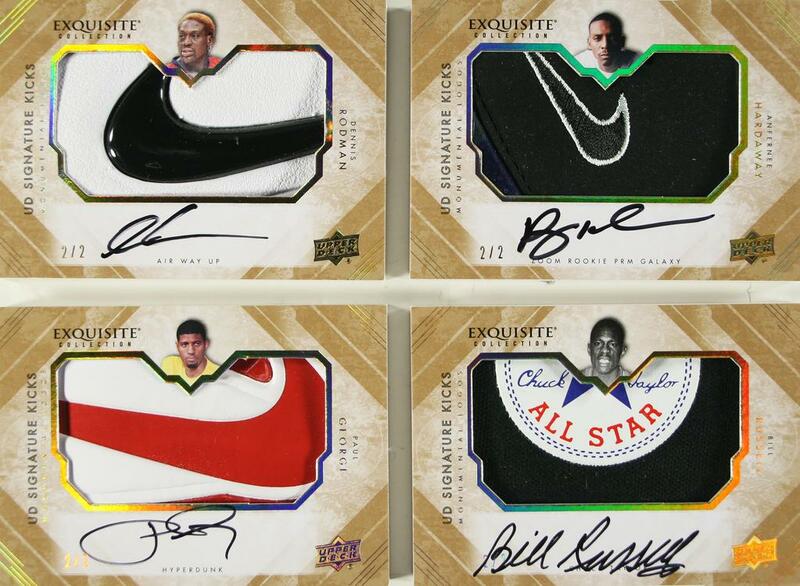 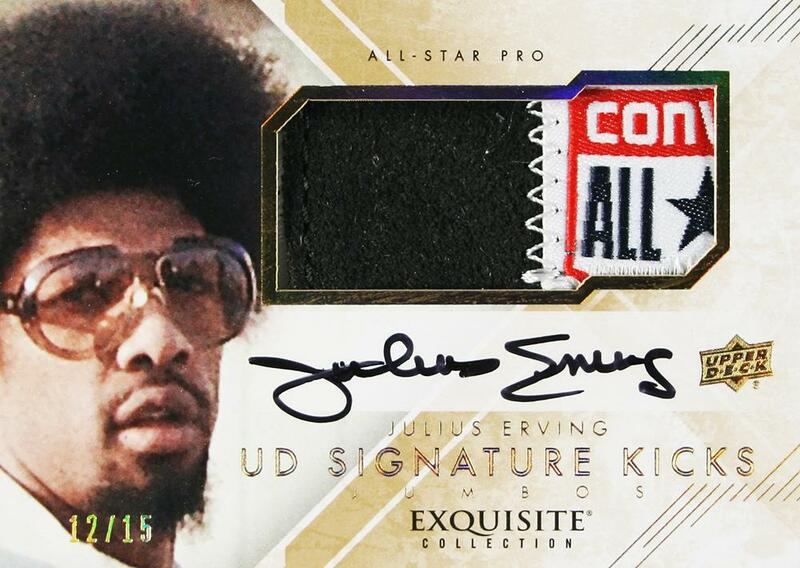 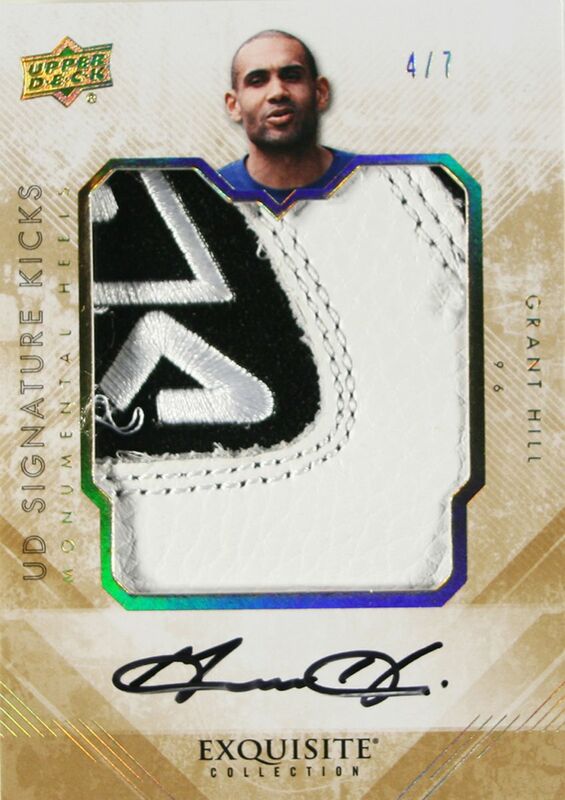 Follow @UpperDeckSports on Twitter for more information on these collectible sneaker cards. 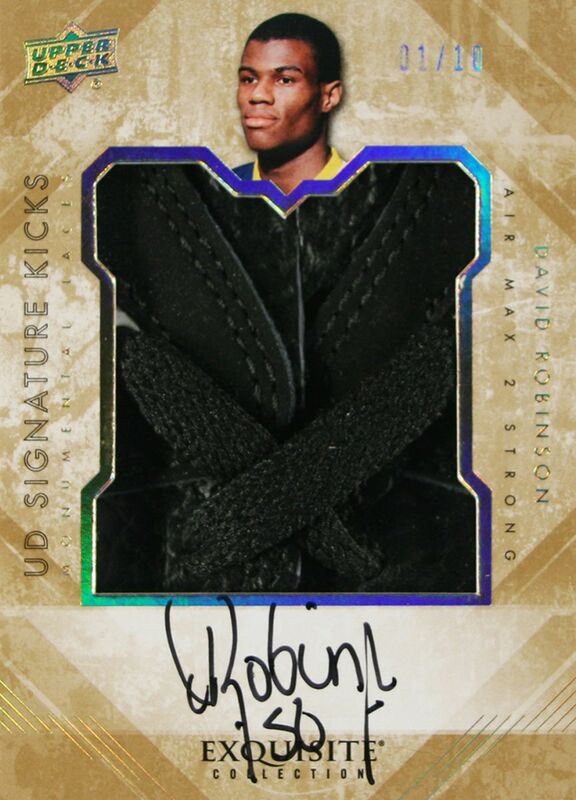 UPDATE 10/22: Exclusive images as well as a look at just how much thicker these cards are, compared to the traditional size.